I was nearly able to bag ONE! Just as I left Tim Hortons the other morning a Musket with a ONE can came past. Should've waited another 5 minutes. Mike, you're in the Chicago area, no? Where did you snag that one? J B Hunt fan since 1992. Swift fan since 2005. It was in Elk Grove Village at a warehouse along Devon between Lively Blvd, and Tonnelle Road. I have some areas in Elk Grove where I can scope some J B Hunt, and as I was passing by I saw this container. heading to Baxters Soups , Walkers Shortbread or as they were on the Whisky Trail (Speyside ) to load our National Falling Down Water. or Grangemouth ( East Coast ) via Rotterdam. As I said will do my best for you hopefully with some photos. Bob. 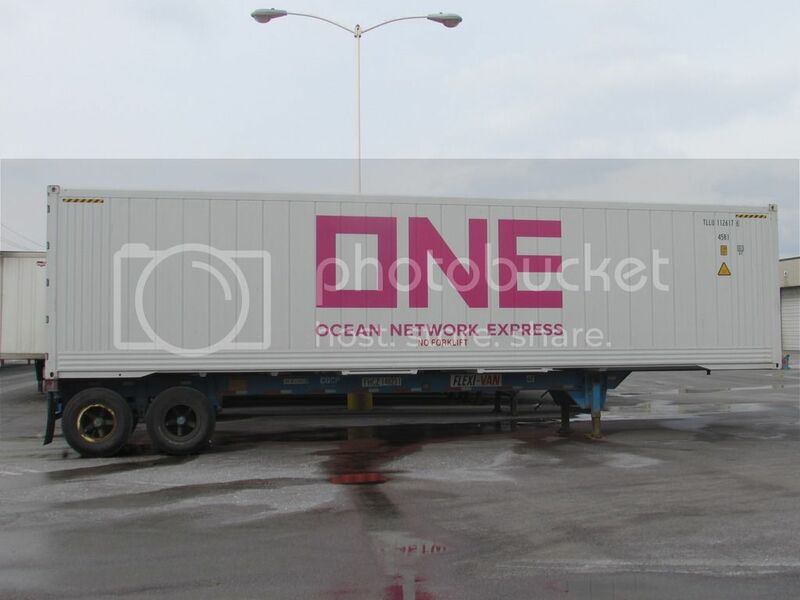 Refrigerated container TLLU 112617 was built in November 2018. Nice catch Mike, I see more of the bright pink cans than vice versa.